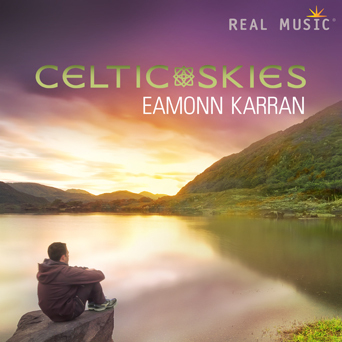 Over the course of the thirteen tracks on Karran’s third release Celtic Skies, he establishes a distinctive soundscape that joins together ancient sounds and approaches with a more contemporary sort of music. “Irish Skies” is a tender track that is able to cover a surprising distance over the course of five minutes. A twinkling piano does the most work in establishing the titular environment, while “New Life” is able to further the overall themes that began the album through the inclusion of a piano line that not only looks back to the timeless Celtic tradition, but to more modern classical compositions. “As One” changes up the status quo considerably. There is a darker and more varied sound created during this song, requiring listeners to play the composition numerous times before hearing every twist and turn that Karran has inserted here. The presence of a set of vocals contributing to the overall harmonies achieved by this effort is reminiscent of Enigma and The Corrs.